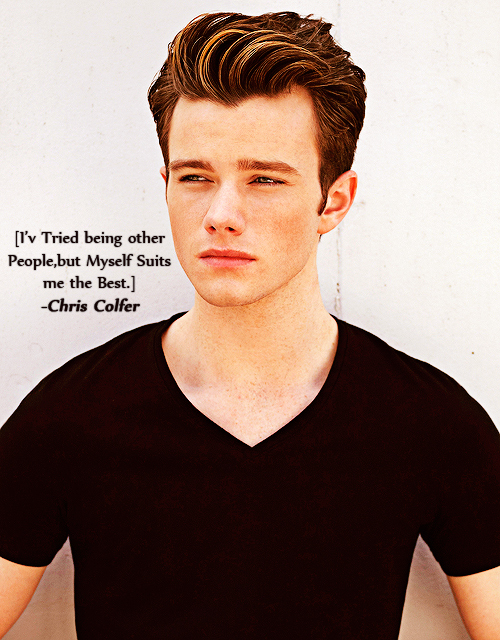 Said by Chris Colfer. Some of the wise words that comes from his mouth.. Wallpaper and background images in the Quotes club tagged: quotes saying words chris colfer. Some of the wise words that comes from his mouth. This Quotes photo contains jersey, t shirt, and tee shirt. There might also be portrait, headshot, and closeup.